Can’t make up your mind on whether you prefer a wallet or a cover? Well, how about getting both? The Krusell Malmo 2in1 Wallet+Cover has the solution to that conundrum. These texturized beauties go perfect together as well as apart. The strong magnets will keep your device securely attached to the wallet while still being easy to remove. 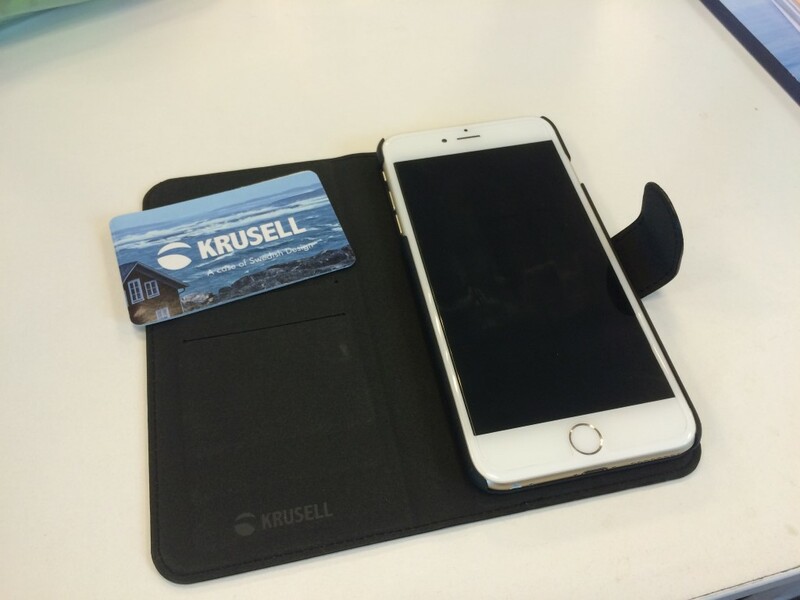 Swedish brand Krusell is a manufacturer of smartphone and tablet accessories since 1991, with a Swedish touch to the design, and their casings can be bought online or at stores such as Sony Centres and Challenger Stores. The Krusell Malmo 2in1 Wallet+Cover is designed for the iPhone 6 and 6 Plus, with an upcoming model for the Samsung Galaxy S6. It comes in two parts. 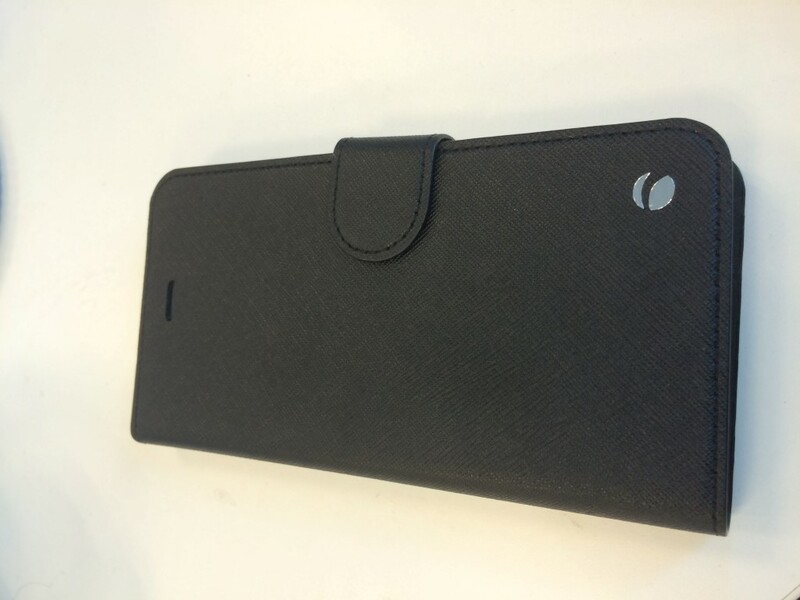 The first is a standard phone shell case, with the usual button cutouts. 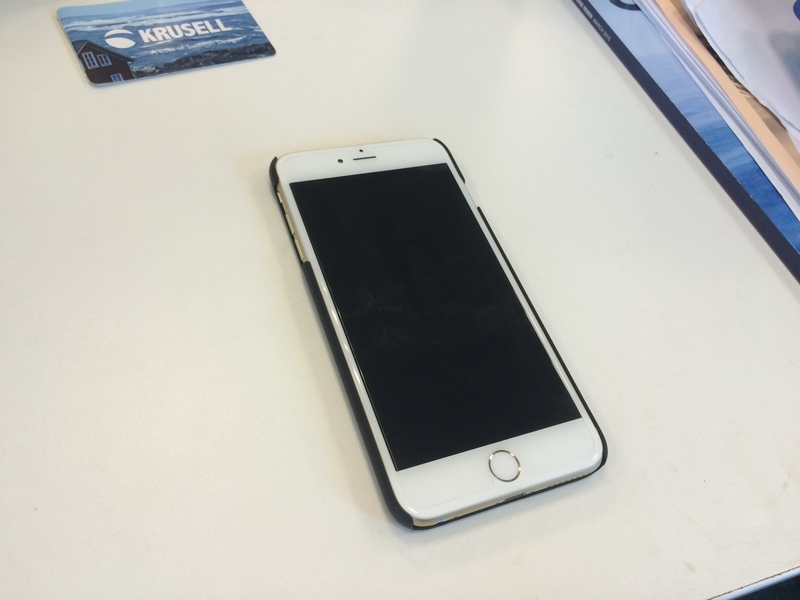 It’s a sturdy shell that doesn’t flex and offers good protection for your iPhone. The back material sports a textured weave and offers good grip. The second part is the 2in1 flip magnetic cover. It mounts to the back of the shell case with magnets. It’s a smart system, sturdy and yet easy to remove. During testing, the magnets held together securely and I was not worried about the parts separating. The wallet portion of the case has space for three credits cards. There’s no area for notes though, which means you could pair it with a money clip for the minimalist. Although, as a stop gap measure, you could use the magnetic catch to clip a few notes between the cover and case. The built quality of the case and cover is excellent and looks beautiful. It’s a different feel from the FlipWalletSlide I reviewed earlier, but the polyurethane, polycarbonate combo here is equally good. The exterior material is a little rough, but translates to a very grippy feel. The stitching and edge bounding here is also top notch. The magnetic flap is on the same side of the phone but it can be flip backwards and held by the magnet. It comes in one colour only, which is black. I think it looks classy, but could be boring for some. Styling is kept to a minimal, with the Krusell logo on the bottom corner, and “Swedish Design, since 1991” embossed on the back. The wallet portion of the Krusell Malmo Wallet+Cover can handle up to three cards, means you can put your EZ-Link (transport card), ID card, and credit card for a minimalistic full functional wallet. You can get by with a single wallet/phone case combo instead of two separate items. I generally prefer a case with a flip cover. It offers added protection to my phone especially when I am quite clumsy. However, as I drive as well, cases with a flip cover don’t work well with car holders. This is where the removable feature comes in especially handy. 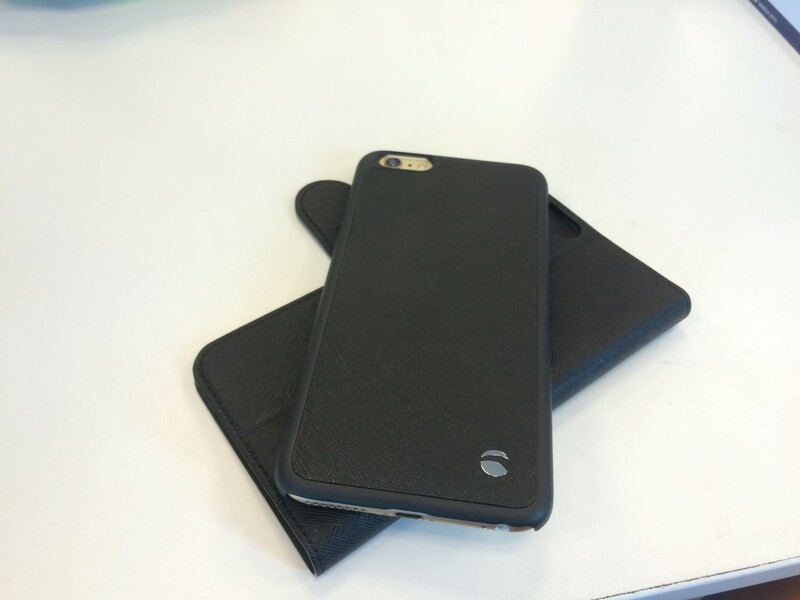 The case adds an added thickness of 1.5mm to the phone, and the entire wallet+cover total height is about 15mm. Yet, when you don’t need the wallet feature, you can just detach it and bring out the phone on the case alone. It is a very modular approach which I find to be a brilliant take, as it gives you the option to be flexible. It’s a smart take on the traditional wallet case. The Malmo Wallet+Cover is an excellent case, that offers great flexibility in how you would like to use it. 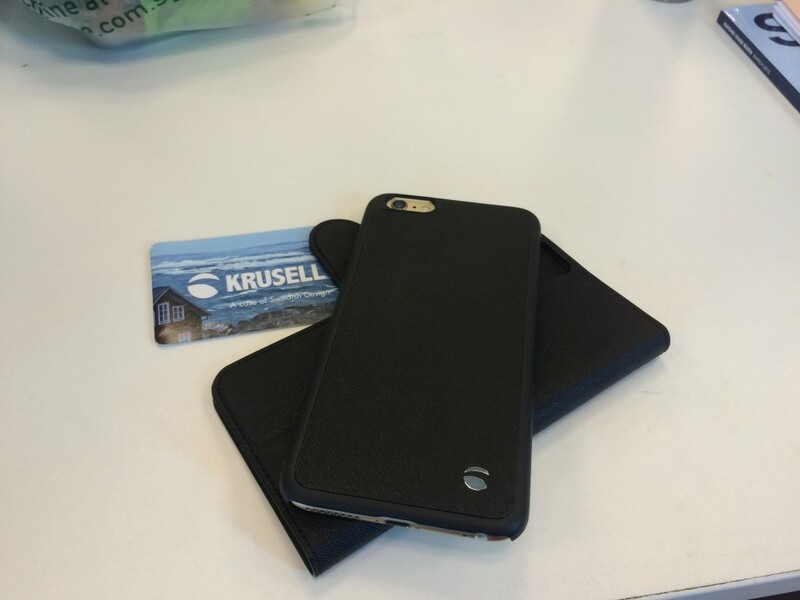 It addresses the concerns I highlighted in my earlier Krusell case review, and if you are looking for a qood quality wallet cover, the Krusell Malmo Wallet+Cover is one that I would strongly recommend. The 2in1 Malmo Wallet+Cover was provided by Krusell for review. You can pick it up from Challenger or online at Expansys. Price at Expansys is cheap at $27.71, but shipping costs for a single item is expensive.